It’s Throwback Thursday again! 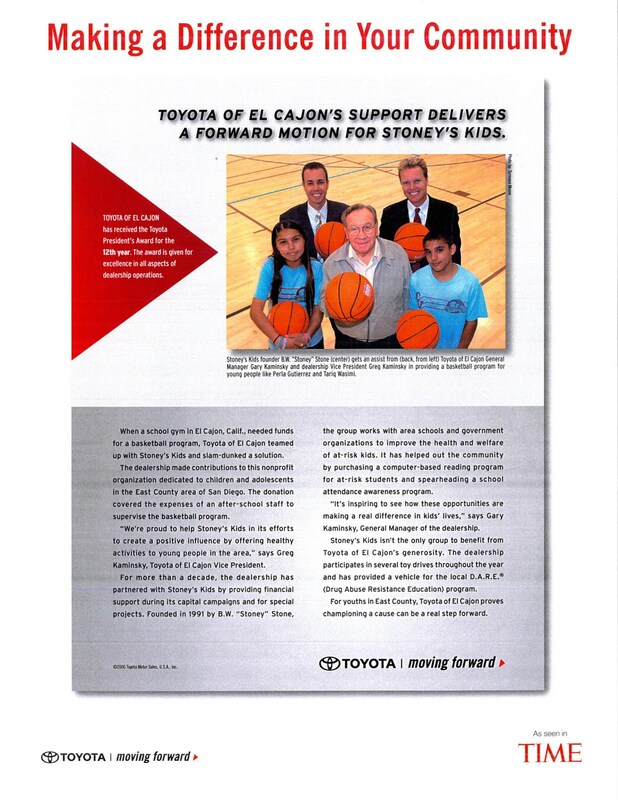 For years the Kaminsky Family and Toyota of El Cajon have expressed a strong commitment to our community and local charities. 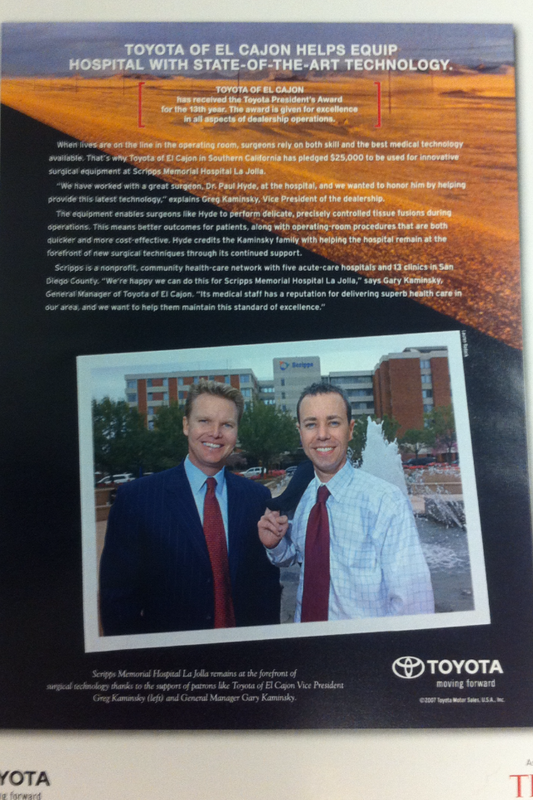 They have been featured in Time Magazine and People Weekly for their significant contributions. 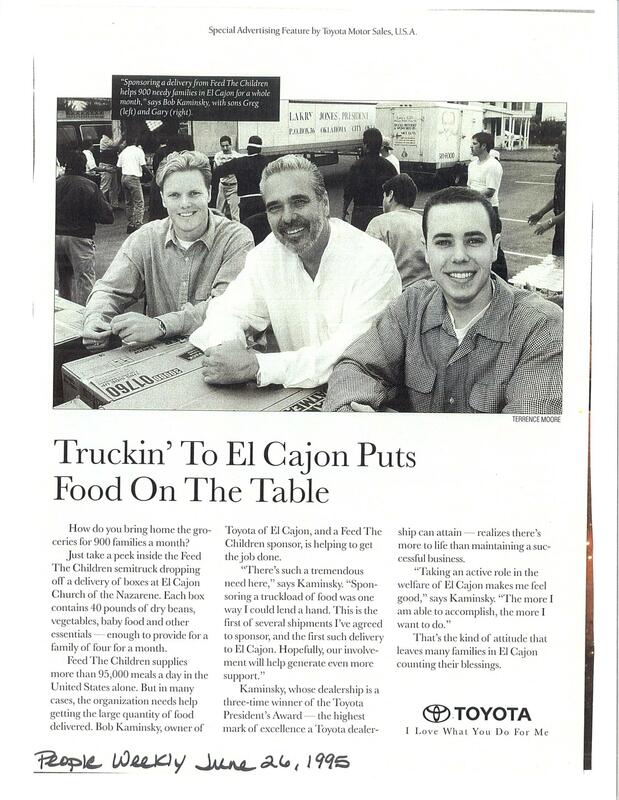 The Kaminsky’s goal is to keep Toyota of El Cajon as an active member of the community. This year alone we have been involved in an eWaste Recycling event which diverted 5,367 pounds of waste and also took part in a wonderful non-profit charity that supports the Children’s Heart Foundation. 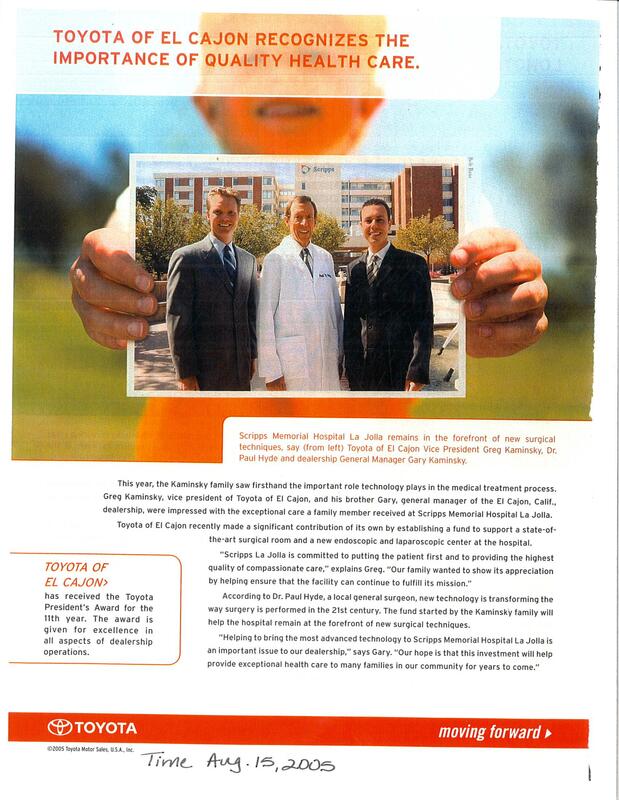 Here are a few throwback pictures of our past involvement and are looking forward to many more.